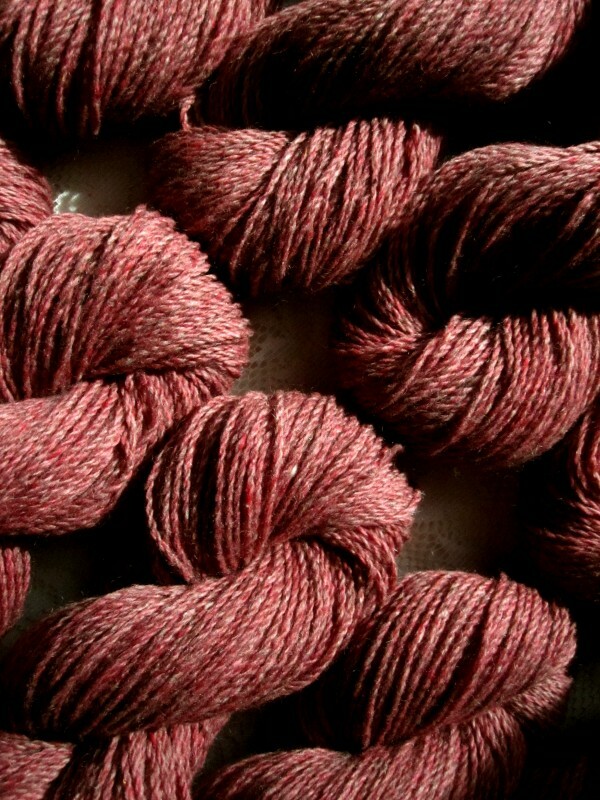 Beaverslide Dry Goods: Hollyhock Heather - 35% Kid, 65% Merino - New Dyelot! This selection has a beautiful sheen. It is very soft, silky and a joy to handle! 4.5 - 5 stitches to the inch on 5 - 7 needles, 13 wpi.